Donald Trump is climate change. 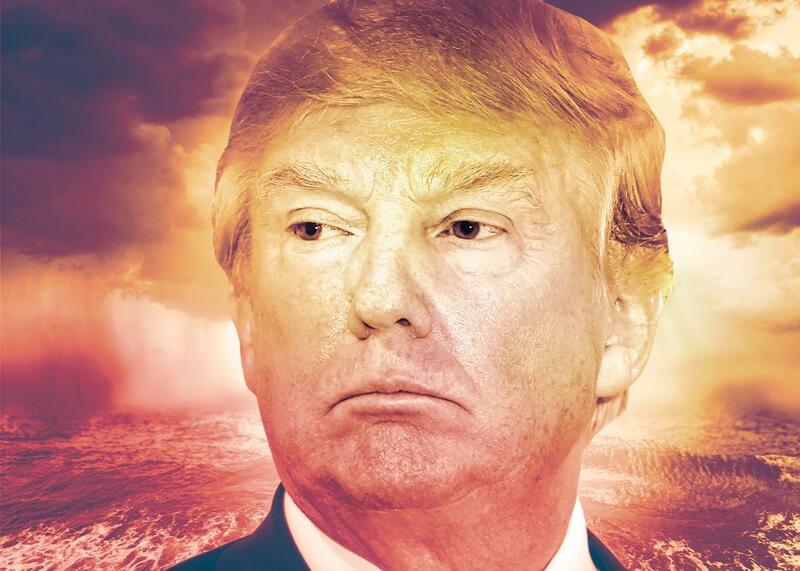 Like climate change, Donald Trump is an oncoming disaster that the GOP refuses to face. Photo illustration by Lisa Larson-Walker. Photo by Ethan Miller/Getty Images News, Thinkstock. WASHINGTON, D.C.—As Donald Trump continued to gain momentum in his bid for the White House, Republican officials, donors, and members of Congress declined on Wednesday to join forces against him. With his victory in Nevada on Tuesday—the third consecutive contest he has won by more than 10 percentage points—Mr. Trump has captured three of the first four primaries and caucuses. He now has 81 delegates, more than four times as many as his nearest rival. Polls taken in the last week show Mr. Trump leading handily in nearly every state that will host a primary or caucus in the next month. But party insiders remain skeptical.